Harness the power of the sun; over time, that age-old dream has become a reality. With solar technology, we can use the sun’s energy to do work, to move things and drive machines. Today several manufacturers, including Franklin Electric, offer solar pumping systems that harness the power of the sun to get water from the ground—even where there’s no power grid. Over the next several weeks, Franklin AID will examine in detail how these systems work, their sizing, their proper application and set-up, and their advantages and disadvantages. 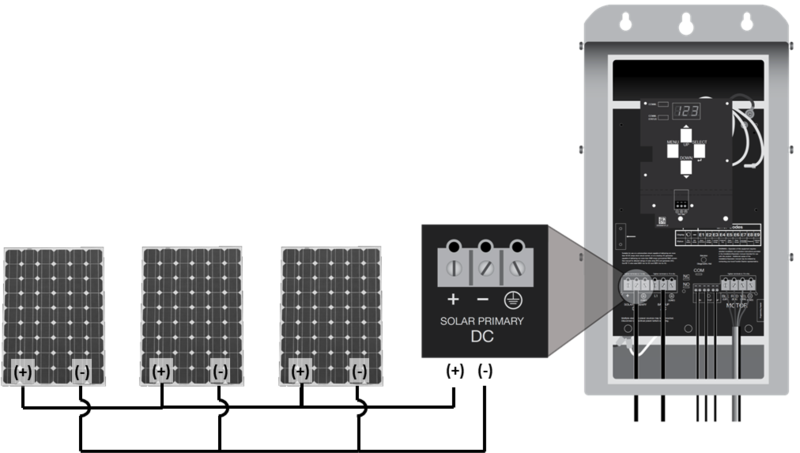 By the end of this series, you will have a very complete understanding of where solar pumping fits into your product portfolio, along with how to install one of these systems. To begin with, why use a solar pumping system? There are two simple answers: 1) because there’s no power where the water well is located, and 2) because the power is free. 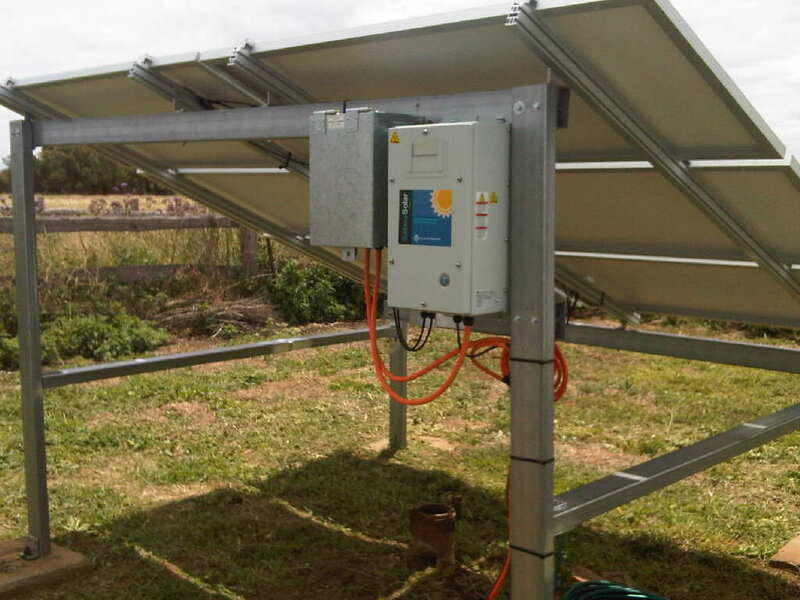 But there can be other reasons to use a solar pumping system that may be less obvious. Perhaps power is available where you need water, but it’s unreliable. If that location is remote, the end user may not even be aware when the power is off. Couple that with a critical water supply and the simple reliability of solar pumping can make a strong case for it. A prime example here is open range livestock. In other cases, there may be power nearby, but the well is several hundred feet away from the power source. The cost of trenching and running copper to the wellhead could often outweigh the cost of a solar pumping system. In other areas, electrical power may available but very expensive. Since the sun shines for free, solar simply makes the economic sense. Finally, some people want to use greener products as much as possible and nothing fits the bill better than solar. Marketing reasons can even enter the picture. For example, organic farm operations that market themselves as such may want to use solar pumping for irrigation in order to be able to promote this to their customer base. In such cases, electricity from the grid may be readily available. 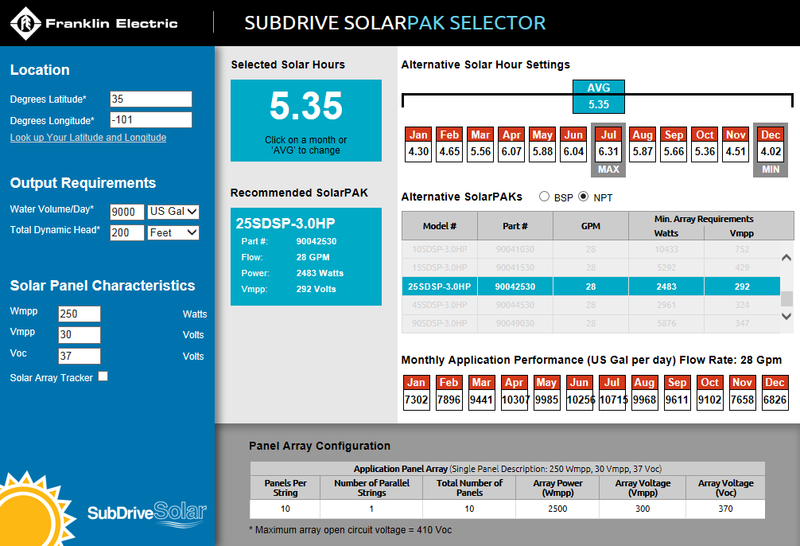 Of course, solar pumping by definition has a big drawback: it needs the sun to operate. As a result, pumping systems that are strictly solar can’t deliver water 24 hours a day. But irrigation normally isn’t required 24 days a day, and in other applications, a storage tank or cistern may store more than enough water when the sun is down or the weather doesn’t cooperate. In a residence or business, however, we do want water to be available under pressure 24 hours per day. 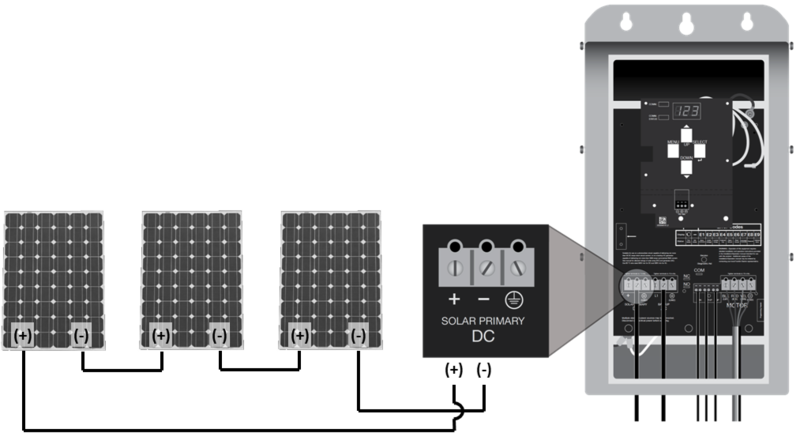 So although stand-alone solar pumping systems aren’t likely to completely replace conventional residential systems, that doesn’t mean they can’t be combined with battery-powered systems or traditional grid systems. We’ll cover these options later. In summary, where solar systems really come into their own are in applications such as livestock watering, irrigation, vineyards, and anywhere a grid power is unreliable or nonexistent. That’s a pretty exciting development for our industry. Stay tuned for the next post in this series, where we’ll cover the starting point of all solar pumping systems: the panels. In high volume groundwater pumping applications, the pump is almost always located underground. Even so, the type of pump and the method of driving it can be very different. The two most common pumping systems for high volume groundwater applications are vertical line shaft turbines (VLSTs) and submersible turbines. VLSTs use an aboveground motor with a drive shaft connecting the motor to the submerged pump. These pumps are suitable for some applications, primarily in shallow sets. Submersible Installation… How much does it cost? LST or Submersible? Go for the Sub!